Learn easy belly dance movements for pregnancy and birth! Start reading Dance of the Womb for free! Sign up below to get sample chapters delivered to your inbox right now. By entering your information, you also agree to receive my monthly emails. You can unsubscribe anytime. Dance of the Womb, a beginner’s introduction to the ancient Arabic art of belly dance as a prenatal and birthing modality is an award winning (Living Now Book Awards Gold Medalist), world first book to explore the ENORMOUS physical, emotional and spiritual benefits of belly dance as a prenatal exercise and process during labour. Dance of the Womb is MORE than just a detailed instruction manual for exercise in pregnancy, it is also a beautifully crafted story of Maha's own life! Maha shares her personal journey from maiden to mother through the eyes of her East-West cultural perspective. Her tale of self-discovery is beautifully interwoven with the teaching of simple, practical prenatal belly dance moves. By focusing on the heart of belly dance (which is traditionally a birth dance, NOT the cabaret style dancing for an audience that you are probably more used to seeing), Maha encourages all women across the globe to tune into their primal feminine power and innate birthing knowledge, following and using the dance movements to experience a safe and natural birth. Dance of the Womb is a practical manual as well as a deeply personal and inspiring tale. ❝ Birth unites women in the power of oneness; the extraordinary gift we deeply share as mothers. Belly dance for birth reflects this very same essence of life and love. Dance can help us to “self-discover” and embody our “authentic nature” which is essential for birthing. 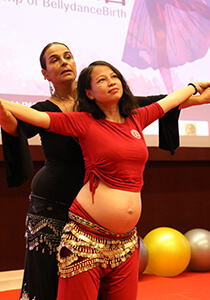 Middle Eastern dance (or belly dance), specifically for birthing, at its core is a traditional dance of the feminine, hence Maha likes to call it the Dance of the Womb. It is NOT the cabaret style dance or dancing for an audience that, so many are familiar with! It is about taking the Earthy, grounded and feminine language of belly dancing and mindfully transforming it, to be a way to guide you into opening and surrendering through childbirth. 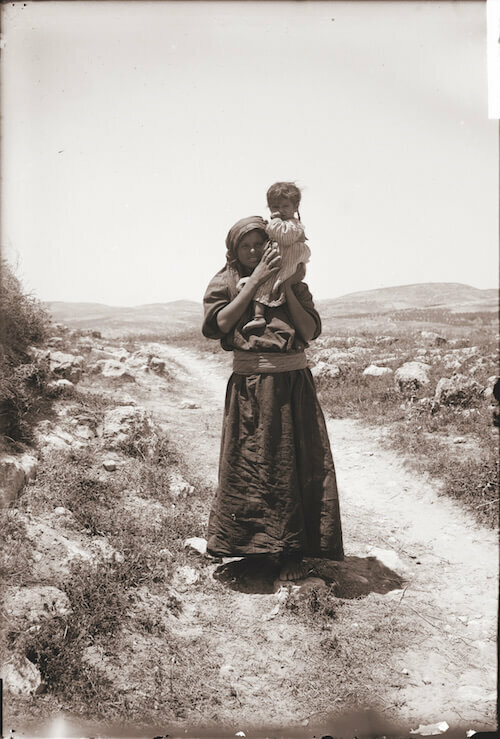 The book begins with a dedication to Maha's grandmother Aminah who birthed 9 babies in her family birthing house in a small village in Palestine using the ancient movements of belly dance. Or as Maha says, "Dancing the Rhythm of Her Birthing Way". It then moves forward from Aminah’s story, exploring Maha's life journey along with how the simple and practical belly dance movements can be used as a prenatal exercising modality to practice during your pregnancy. And help prepare and condition your body for childbirth, gifting you with a strong, energetic anchor to guide the opening of your pelvis during labour. ❝ One of the key elements of the birth dance is that it can help you bridge the gap between the primal brain (which knows how to give birth) and the modern woman (who may need to be reminded of her instinctual capacity). Sarah Doherty (mother of two sons, has been a midwife for more than 15 years in Australia and Saudi Arabia. Her passion is home birth. She is also a rebirther, childbirth educator and body awareness teacher. She was responsible for designing pre and postnatal programmes at a women’s hospital in Saudi Arabia in 2003). Dance of the Womb is available both as an ebook and a hardcover book (280 pages, full colour). The hardcover book can be shipped worldwide (no additional shipping costs). The book will shine a guiding light on your personal journey with your baby so you can surrender into your initiation with strength and confidence. Dance of the Womb is a beautifully designed 280 page full colour book and has been endorsed by the National Association of Childbirth Educators Incorporated (NACE). Want a preview? Sign up to get your free sample chapters from Dance of the Womb. I read Maha’s book whilst in Rio during the carnivale. What a unique opportunity to realise that dance is the most archaic form of art! No wonder that Maha can associate belly dancing with an event that involves the most archaic structures of the human brain! 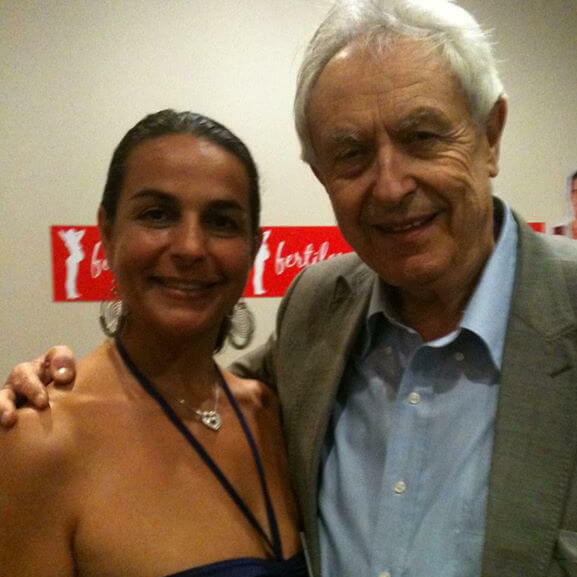 Dr. Michel Odent - MD, author and internationally renowned obstetrician working extensively in the area of child birth research, water birth and natural birth since the 1960s. Maha Al Musa’s writing is rooted in her personal observation and understanding of Arab birth culture, for whom birth traditionally is a powerful dance, and in which women work with the pain. She interprets it to help women in childbirth. Maha, I love the way you write. It is so personal yet has universal significance. 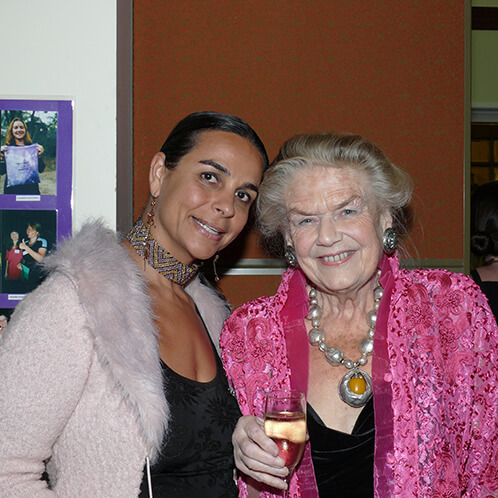 Sheila Kitzinger - Author of more than 20 books, anthropologist, natural birth advocator and mother of five. Maha Al Musa's descriptions of traditional Arab bellydancing in pregnancy and birth were inspiring - I have learnt a lot from her. The belly dance expresses the power of women to produce life. It is about connecting with the source of female sexuality. Dance of the Womb is a superb resource for pregnancy and birth helping to anchor us in our female body and to find the rhythm and power of our pelvis. Maha's delicious blend includes a simple guide to belly dance, her timeless birthing wisdom and her own amazing journey as woman, mother and dancer. Highly recommended. Maha Al Musa writes so eloquently and deliciously about the art of bellydance and its place in the birth experience. One cannot help but want to be pregnant and feel the emotion and power that emanates from this ancient art of birth dancing. Bellydancing for Birth takes on a consciousness and soul as Maha relates her personal spiritual journey of how destiny united her with bellydance for the miracle of birth. We realise in the end that we are all on our own spiritual journey and that birth is the ultimate Dance of the Womb. ❝ If you can let go of being self conscious you will gain greater freedom of expression, which can only serve your labour in a positive manner. Having had 2 births a fair time ago now, I can see that Bellydancebirth® would have been an amazingly useful tool for me to help me connect with myself and trust my body to give birth without all the fear and negativity. It almost makes me wish I was pregnant again - just so I can try her methods. I highly recommend her book for every pregnant woman. My absolute joy in Maha’s richly presented resources is in her powerful reclamation of belly dance as the “Dance of the Womb”, the most Sacred Dance of all dances for women. With clear instructions and demonstrations linking heart, mind, body and soul, Maha teaches from the depths of her Middle Eastern roots, making the dance simple and accessible to all women. Restoring what we call bellydance to one of it’s original ancient roles, as a rite of preparation and assistance for pregnancy and childbirth, elevates it from the popular entertainment value of shimmies and sparkles, to it’s rightful place within the natural sacred cycle and well being of women’s lives which spans from pre-menstruation to post menopause. Gracefully and with cultural dignity Maha, who is a doula and dancer herself, also presents sound contemporary evidence which validates the techniques of this beautiful dance form for pregnancy and birthing today, be it at home or in hospital. The book and DVD are essential partners and themselves dance as jewels of wisdom for all women (pregnant or not) who wish to embrace a deeper connection with their feminine bodies and souls. Thank you Maha, the need for women to reclaim their natural feminine dancing power was never greater! I must say it is much more than I ever expected! The history, the stories, the depth is amazing. The emotional journey that you take the reader on is so powerful. Brilliant, so so brilliant. Thank you for empowering women and educating them, but most of all thank you for inspiring us to birth from within. Maha’s book is an absolute delight. Her story is so inspiring and all the ancient knowledge and wisdom she shares from her culture has given me confidence and reaffirmed my belief that women’s body know how to give birth, and that we should simply trust in the process. I have this book and it is such an amazing testimony to birth and using dance as a prime mover during birth and the preparation before birth. Maha and her dance moves helped me so much during the birth of my second son. I was blessed to have her attend my birth. Her being there put me into a whole new mindset. We breathed and danced into every contraction. My second birth was so much quicker than my first. I totally recommend this book! 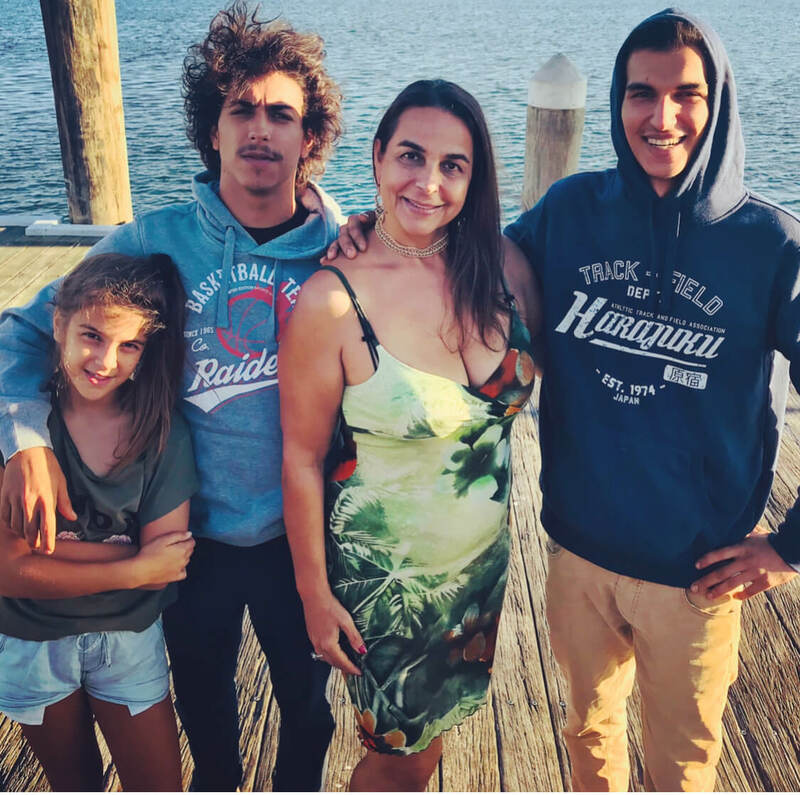 Maha Al Musa is the Founder of EmbodyBirthTM and BellydanceBirth® (One World Birth - Birth Heroes Award: Australia’s National Birth Hero), an Award Winning Author, a Speaker and a Mother to 3 beautiful children, all born as nature intended. She gave birth to her last, her daughter Aminah, at age 46 – a home water lotus birth and breastfed her till she self weaned at 8.5 years. They have both been featured and interviewed on various TV shows (national and international), magazines and online publications (including Discovery Channel & CNN International). Maha has presented at numerous birth conferences including the Birth Keepers Summit in USA, The Human Rights in Childbirth Conference in India, Keynote Speaker at the China Annual Midwives Conference (Shandong Province, China) plus lectures at Elizabeth Private Maternity Hospital, Ghuanzhou, Zhongshan Xialan People’s Hospital, Zhongshan City and Southern Medical University, Ghuanzhou, events and seminars within Australia and internationally and spoken/been interviewed on various podcasts and online publications. Through her birth work Maha wants to encourage EVERY woman with her baby to align with the innate birth intelligence that resides within her womb and trust in its guidance. The Dance of the Womb ebook is also available on Amazon and Kobo. Have questions? Here are the answers to some of the commonly asked questions. How can I access the ebook on my computer/tablet/phone? The ebook downloads as an .epub file (which is the industry standard for an ebook and NOT a pdf). You must have the compatible app/software (for example iBooks, Kindle, Adobe Digital Editions etc.) on your computer/tablet/phone to access your ebook. Please note that requests to provide pdf versions of the ebook will not be entertained. Sorry, we do not offer refunds both for the ebook (due to the price point) and the hardcover book (due to the complexity of shipping it back to Australia from your location). The book is a 280 page, full colour, beautifully designed piece of work which is a practical manual as well as a deeply personal and inspiring tale. Where can the hardcover book be shipped to? The hardcover book can be shipped worldwide. 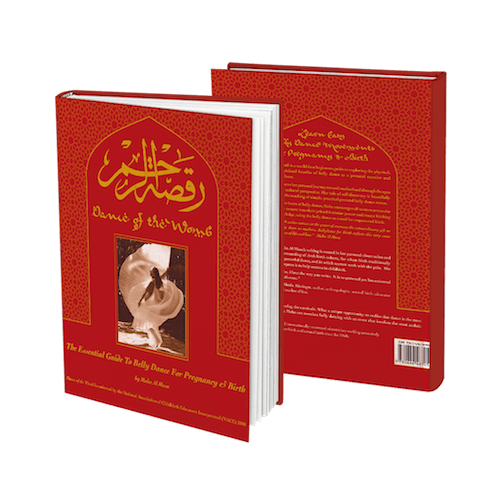 Shipping costs are included in the price of the book and no additional shipping and handling charges are required. Please allow 5-7 business days AFTER you complete your purchase to send you the shipping confirmation and tracking number. And please note that depending on your location, the delivery times may vary. The book will be shipped from Australia.